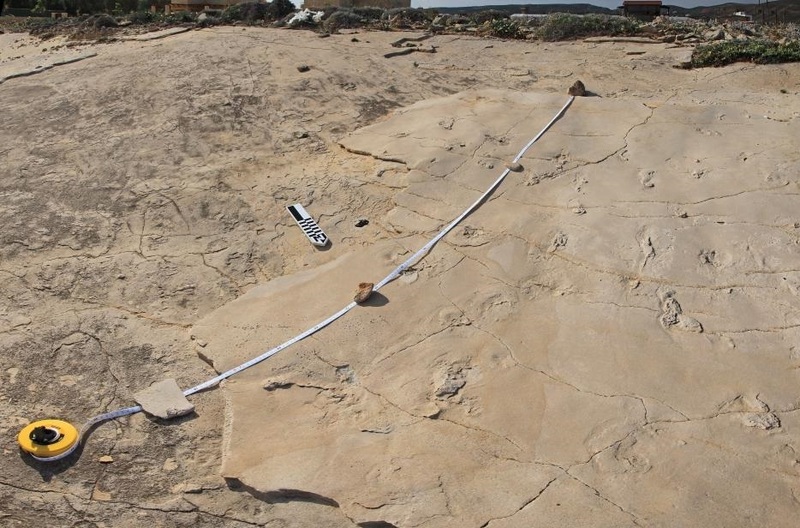 CRETE – Scientists have discovered human-like footprints in Crete that, according to evolutionists, predate the origin of modern humans by more than one million years. According to evolutionary scientists, the ancestry of modern humans can be traced back to the 4.4-million-year-old Ardipithecus ramidus—an ape-like species that lived in Africa. Ardipithecus ramidus had ape-like feet, but evolutionists believe its descendants eventually learned to walk upright, leading to the development of bipedal humans. However, the recent discovery of ancient footprints on a European island calls the premise into question. A team of international researchers dated the footprints by analyzing nearby marine fossils and sedimentary rock. They say they are confident in the assigned age of the prints, even though it does not match with evolutionary predictions. The discovery of the footprints in Crete was recently detailed in Proceedings of the Geologists’ Association. Scientists say this finding challenges the evolutionary timeline and overthrows assumptions about modern humans originating in Africa. “What makes this controversial is the age and location of the prints,” said Professor Per Ahlberg of Uppsala University, who was one of the authors of the study. Dr. Andrew Snelling, a geologist with Answers in Genesis, told Christian News Network that the discovery of these human-like footprints in Crete is not the first time a discovery of ancient footprints has put evolutionists in a bind. “These [footprints] in Crete are regarded by evolutionary dating methods as even older, and so are similarly ascribed to ‘possible hominin’ rather than human, and would be no matter how human they looked for the same reason,” he added. From a biblical perspective, Snelling believes that the ancient footprints in Crete were laid down following the Great Flood described in Genesis. “From a biblical perspective of earth history, no matter who made these fossilized footprints, whether humans or apes, they were probably made after the Flood, when humans were walking the earth with apes, some of which later went extinct,” he stated.